With dbForge Studio for SQL Server, you can easily migrate SQL data to and from the most widely-used data formats. 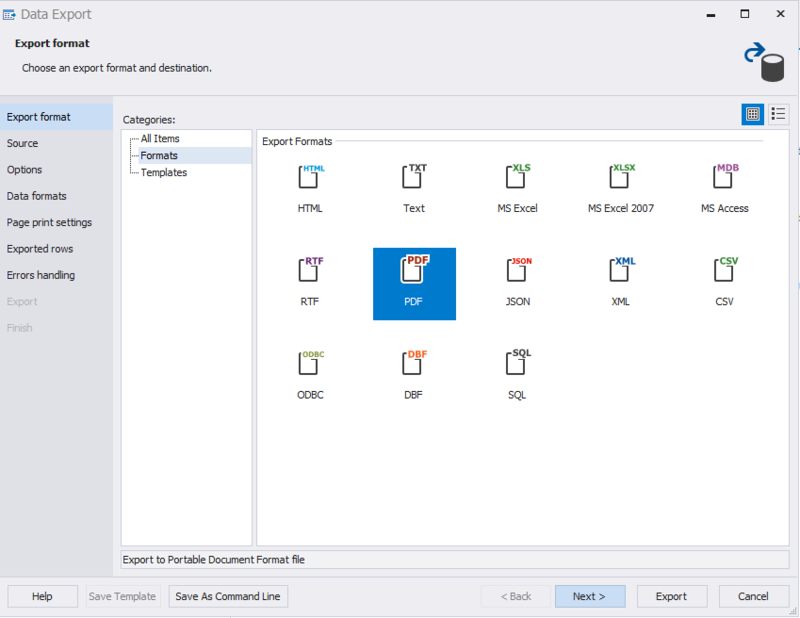 Data Import/Export tools allow you to customize and manage the whole process, create templates for future use, specify error processing options as well as write reports to a log file. The integrated data import/export tools will greatly save your time, as well as make the data export/import process more comfortable, efficient and effortless. 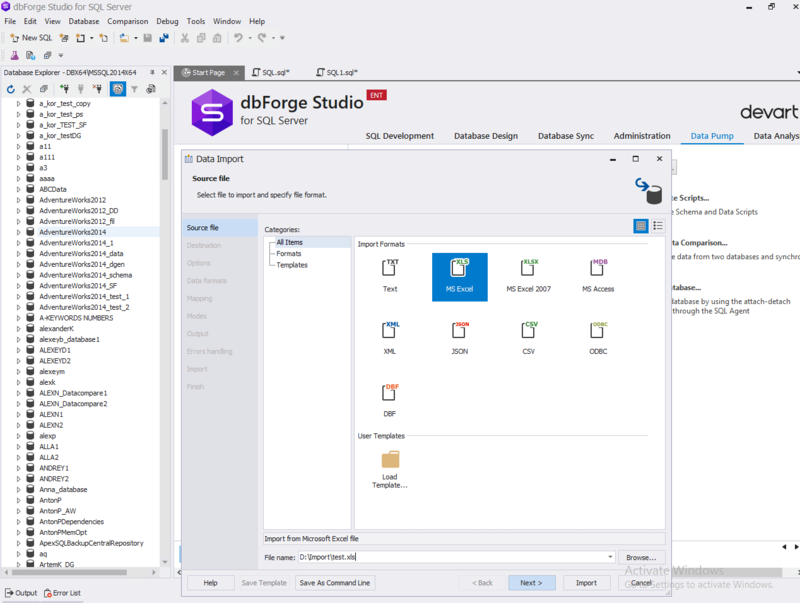 With dbForge Studio for SQL Server, you can create import templates for a later data import via the wizard or the command line interface, as well as adjust the import process according to your requirements. Use the export tool's options for exporting data to the most popular formats and adjusting the export process according to your needs.